Today begins our series of week long summer programs with the Woodsman course. It’s our general introductory course on all things bushcraft. Last night we welcomed everyone to camp with a huge batch of sourdough biscuits cooked in our new, giant, reflector oven. More on it later. Today we’ll be working on using axes and knives safely, lighting fires, cooking over the fire, and learning many of the edible wild plants that are up this time of year. 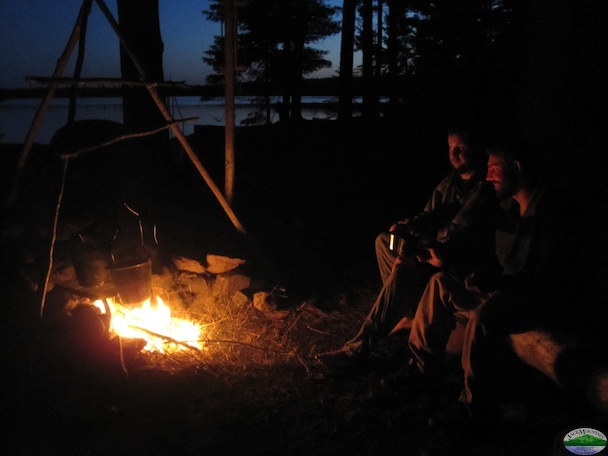 Tonight we’ll be learning the conselations and enjoying the glow of the campfire. As I’m typing this, sitting on the loft of the guide shack, a moose is walking up the road about 25 yards away (for real). Good omen. It’s going to be a great day.